UPDATED 5:31 P.M. EDT (U.S.A.) A company operated by a man found dead Tuesday in Florida from an apparent self-inflicted gunshot wound was scheduled to conduct a seminar for government workers July 2 at the Federal Law Enforcement Training Center (FLETC) in Glynco, Ga., according to the firm’s website. FLETC is operated by the Department of Homeland Security and serves as an interagency law-enforcement training organization for 88 federal agencies. Kenneth Wayne McLeod was 48 when he died Tuesday. The SEC said his Jacksonville company, Federal Employee Benefits Group Inc. (FEBG), was paid “up to” $15,000 by government agencies for seminars conducted by McLeod. The SEC now says McLeod was operating a Ponzi scheme dating back to at least 1988. The scheme was alleged to have fetched “at least” $34 million, and the SEC’s top official in Miami said McLeod might have destroyed the savings of federal employees who entrusted him. “The victims gave years of public service and McLeod stole their futures,” said Eric I. Bustillo, Director of the SEC Miami Regional Office. What appears to be clipart of two businessmen holding briefcases and shaking hands in front of a globe appears on the website. An image of an attractive woman from an apparent clipart file also appears on the site, as do other elements of apparent clipart. The site appears to use other static elements associated with earlier web technology. The site also appears to use older technology in its contact form, which publishes live links to email addresses of employees. Also on the site is a link to the U.S. Office of Personnel Management from which visitors can download forms. Another link on the site purports to link to the domain SEBG.US, but the site was throwing a server error at the time of this posting. Records suggest the SEBG site was live Wednesday, and that SEBG stands for State Employees Benefits Group. Archives show the SEBG site featured keywords such as “retirement system, florida retirement system, state retirement systems, public employees, state employees, municipal employees, law enforcement, police officers, sheriff s office, benefits analysis, financial planning” and more. For its part, the FEBG site touted trust. 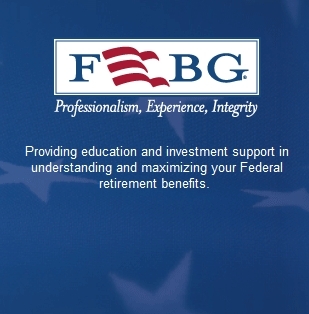 “Through dedication and commitment to our core values of Professionalism, Experience and Integrity, FEBG holds all associates and subsidiaries responsible to vigilance, service and honor for each of our clientsâ€™ individual needs and planning strategies,” the company proclaimed on the website. The website also published a schedule of its seminars. If the schedule is accurate, FEBG completed a seminar for U.S. Immigration and Custom Enforcement (ICE) at the FLETC facility in Georgia June 8 — 14 days prior to McLeod’s death. Another ICE seminar is listed for July 2 at the same FLETC facility. Seminars for the Federal Air Marshals Service (FAMS) were scheduled July 7-9 in Miami. Dual seminars were scheduled for July 21 — one at the Georgia FLETC facility for ICE, and another in San Antonio for “SSA – OIG,” which stands for Social Security Administration, Office of the Inspector General. Seminar schedules dating back to 2006 appear on the site, featuring names such as the FBI, WIFLE (Women in Federal Law Enforcement), the DEA, the IRS, the U.S. Census Bureau, USSS (United States Secret Service), the U.S. Forest Service, USPS (United States Postal Service), ATF (the Bureau of Alcohol, Tobacco, Firearms and Explosives), NAADHS (National Association of African-Americans in the Department of Homeland Security, US Bankruptcy Court and US District Court, the Federal Public Defenders Office, the National Park Service, the US Fish & Wildlife Service, NABNA (National Association of Black Narcotics Agents), DCIS (Defense Criminal Investigative Service), NCIS (Naval Criminal Investigative Service) and others. It was not immediately clear if members of each of the agencies or employee associations invested in the alleged scheme. Also unclear was the total exposure of investors to losses. Talk about biting the hand that feeds you. It is incredible anyone would even think of trying to pull this off especially to this group. Talk about a sociopath. EDITORIAL: When MLM Is PR Poison: Footnote In Zeek Receiver’s Most Recent Filing Harkens Back To Scam Of Yesteryear — Also, Does Unrelated ‘Agape World’ Case Provide Clues About Tax Scam Within Ponzi Scam At Zeek?